FLORA demonstrates the transformative power of art. 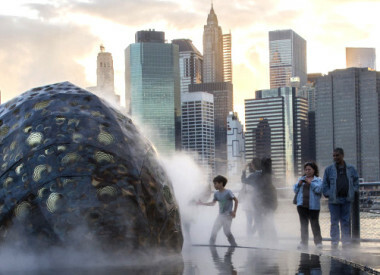 The sculpture, designed and fabricated by Ross, reimagines and renovates an aging and deteriorating 40 x 40 foot pool and fountain to enliven Hopkins Plaza. FLORA evokes efflorescence, the budding and bursting forth of nature as it energetically carves and shapes space. A complex simplicity is revealed through harmonic convergence of line, form, rhythm, tone, cadence and counterpoint. 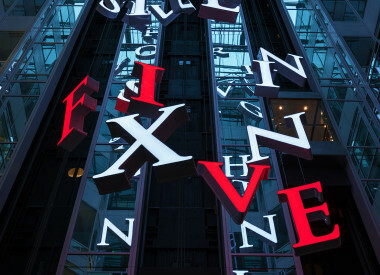 Branded by DPOB as a symbol of downtown Baltimore’s redevelopment, FLORA was chosen by the editors of Where GuestBook for the cover of their annual hardcover Baltimore edition. Hopkins Plaza is a few blocks from the Inner Harbor. The intersection of Charles and Baltimore marks the center of Baltimore City. The central feature of the Plaza was a pool/fountain with an eyesore of aging, rusting pipes when the fountain was drained during the winter. 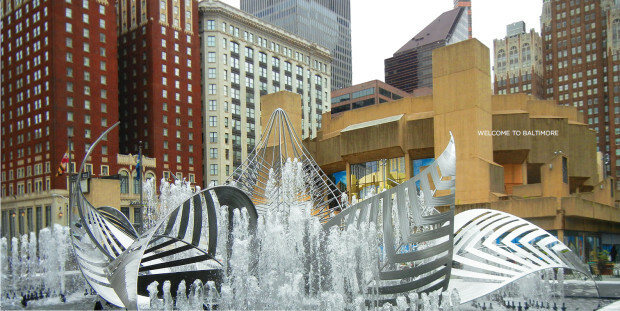 Dealing with the fountain was central to the overall redevelopment of Hopkins Plaza into an area “walkable…vibrant and dense, with day-time and night-time activities - an energetic street-level experience for pedestrians, and engaging and pleasant open spaces”. Walkways obscuring the vistas were removed and structures are being repurposed into retail and residential spaces. DOPB retained Ross to create temporary artwork to hide the fountain’s plumbing and jets in winter, but quickly embraced her concept to incorporate rather than hide the existing fountain jets into a permanent artwork. FLORA at 18’H x 40’W x 40’D inhabits the entire pool and transforms the plaza into a welcoming center during the day and a magical experience at night. 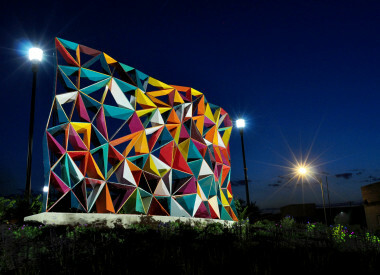 FLORA demonstrates the power of art to enliven and enhance an urban context as well as the experience of those who live and work within it. 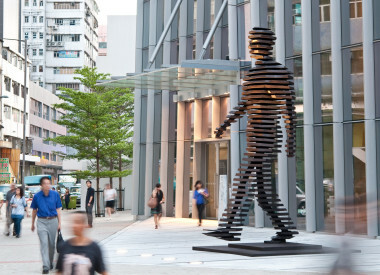 The challenge faced by Ross and DPOB involved aesthetic concerns for public art and significant engineering and fabrication issues as the fountain and plaza are immediately above the Down Under parking facility and the sculpture had to fit within existing plumbing. 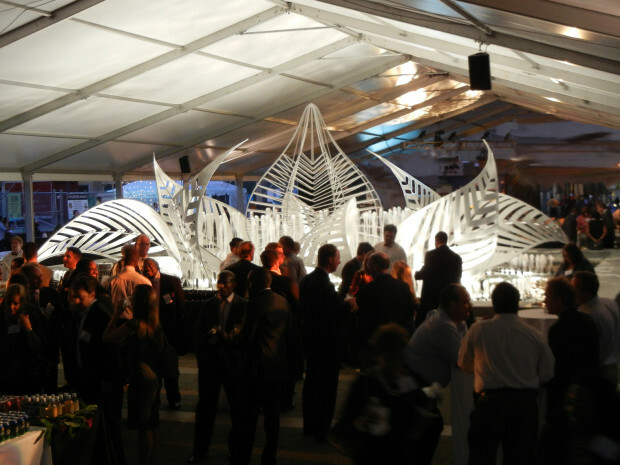 Ross’ animated design consists of a central “Bud” with over 3,000 individual welds of varying length rods surrounded by two concentric rings of four “leaves” fabricated in marine grade aluminum with hand welded spine and borders and water jet cut openings. 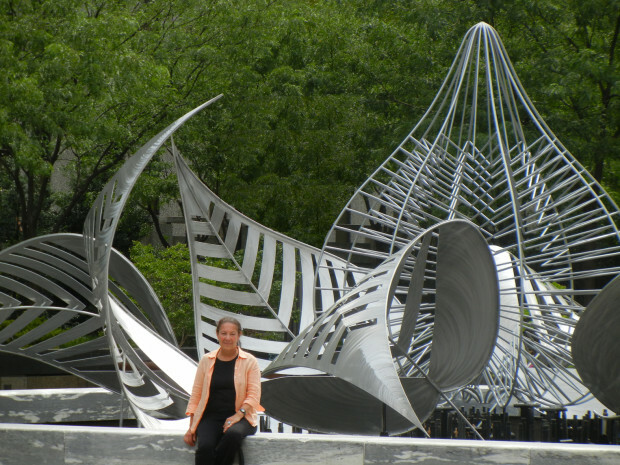 Each leaf is 8' high by 7' wide and 5' deep with extensive hand finishing of the surface creating visual depth and movement and arranged to create a dynamic counter-clockwise motion within the fountain akin to that of a turbine. 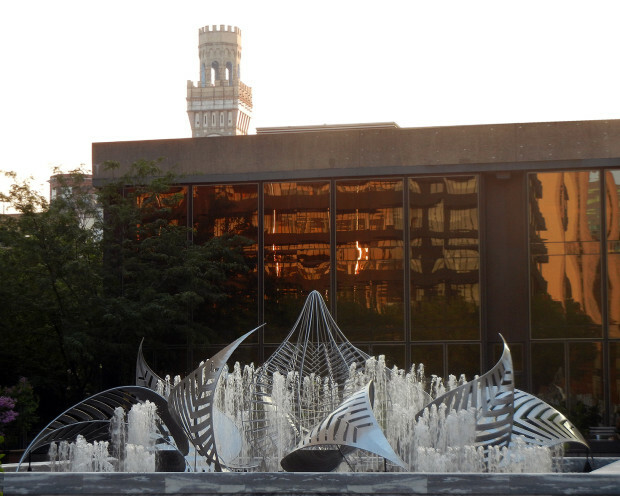 DPOB remained fully involved throughout the process and, together with Baltimore city, provided architectural and engineering support for the footings for the sculpture and rehabilitation and reconfiguration of the fountain jets. 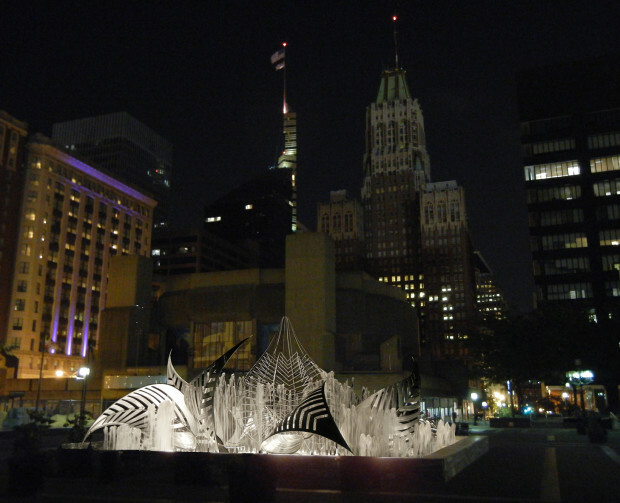 Ross worked with DPOB to reconfigure the operation of the fountain to better integrate with the sculpture and reposition lighting to create a shimmering interplay at night of water reflecting off the surfaces of the leaves. 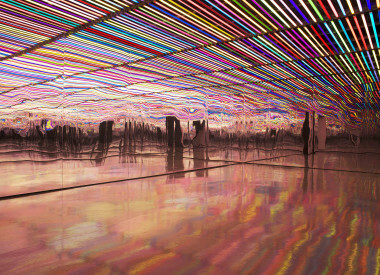 DPOB insists that art is an integral element for renewal and revitalization and not an afterthought or simply something placed to fill open areas. DPOB’s commitment to use art to transform Hopkins Plaza was reflected in FLORA’s dedication ceremony sponsored by DPOB and Baltimore’s Office of Promotion and the Arts that included the business, political, and arts communities. 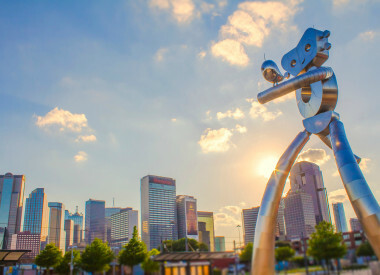 The Plaza now hosts concerts and city-wide events in addition to daily use. 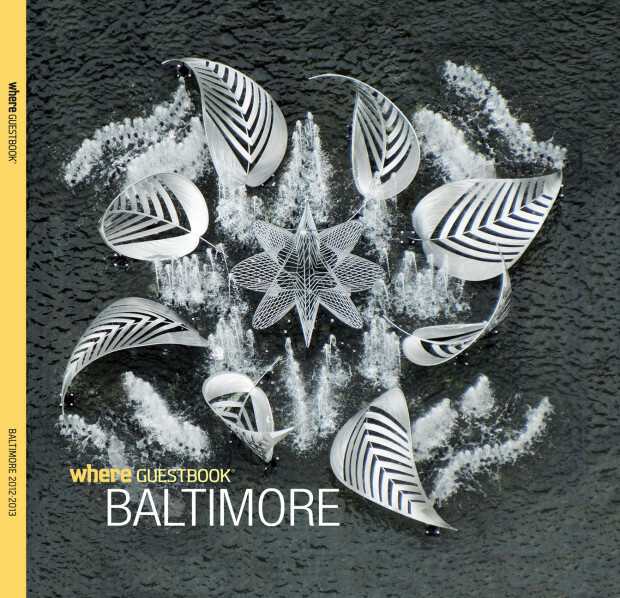 The success can be measured in the decision by the editors of Where GuestBook to use FLORA as a symbol for the vibrancy of Baltimore’s redevelopment.